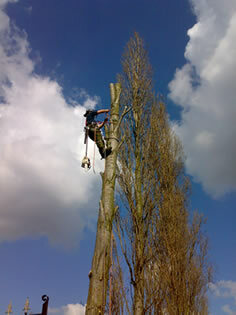 Acorn Arboriculture and Forestry - Specialising in all aspects of tree care and tree surgery in Essex. If you are looking for a professional company to care for your trees we can help. Acorn Arboriculture & Forestry is an independent contractor specialising in all aspects of tree care from contracting to consultancy services. Our clients range from private home owners, estate managers to local public authority and commercial sectors located throughout London and South East. Acorn Arboriculture & Forestry has built an enviable reputation, in a highly competitive market, for providing excellent customer satisfaction, don’t take our word for it speak to our clients and learn how we strive to ensure each and every project continues to maintain our highly regarded reputation. Please contact us today for a free site survey and quotation. Acorn Arboriculture can help you with all aspects of tree surgery and forestry from stump removal to estate planning. Read more about our services here. Acorn Arboriculture can provide you with professional consultancy from tree preservation orders to tree reports for trees in relation to construction. Acorn Arboriculture sell a comprehensive range of timber products. Whether you're looking for seasoned split logs or timber in the Chelmsford, Essex area. Acorn Arboriculture has a range of specialised plant hire available to hire with an operator. Hire our mini digger with a specialised grab.